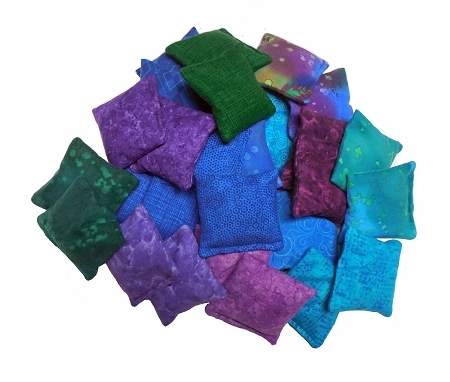 Place these heatable hand warmers in your mittens or coat pockets to warm chilly fingers and hands. Pop in the microwave for 15-20 seconds and enjoy 20 minutes of warmth. May also be placed in the freezer for 30 minutes to chill to use as a "mini" Cold Pac for small areas. May be used over and over again ! Not like those plastic disposable ones. Choose from assorted Flannel Colors. Our Mitten Warmers are made with a Flaxseed/Rice mixture with a little hint of cinnamon. Packaged in a clear bag that includes label listing ingredients and directions for use.